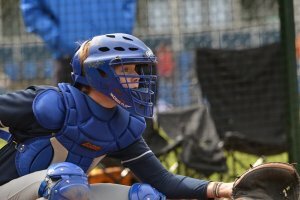 Catcher is one of the most important positions that someone can play on the field. 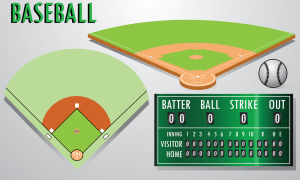 Not only are you tasked with making sure that no pitches get passed you and that you can guard the plate against runners, you also must manage pitchers and call a game. Because of this great responsibility, catchers must make sure their equipment is in great condition. 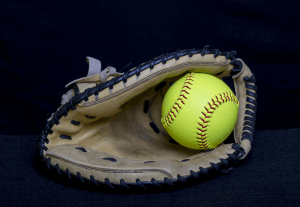 One of the most important things that a catcher should make sure of is that they have the best catcher’s mitt and that it is broken in, helping to avoid dropped balls. This is a step by step instruction of how to break in a catcher’s mitt. The first step in this process is optional because there are mixed opinions on how effective it is. Some people believe that you should heat up your glove in an oven at a temperature no higher than 300 degrees for no longer than 10 minutes. This can be useful because it will loosen the leather, making it easier to conform the glove to your hand and form a pocket. This can also have the adverse effect, however, of weakening the leather. 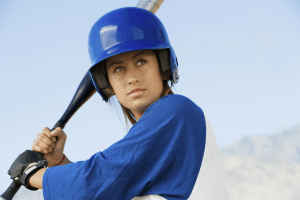 You will want to ensure you have the best catcher’s gear so the choice of if you wish to do this first step is strictly up to you. The first step in this process is to take the glove and rub shaving cream around the pocket of the mitt. You should do this process a few times to make sure that the cream is thoroughly soaked into the glove. After doing this a few times, you should take the towel and remove the excess cream that will create chunks in the pocket. After making sure that the shaving cream has been distributed evenly inside the pocket and that the excess chunks have been removed, you should place a ball inside the pocket. After securing the ball, tie a rope around the glove to ensure that the ball stays in the pocket. Then leave the ball sit in the pocket for at least eight hours to better form the pocket around the ball. After waiting the eight hours with the ball in the glove, untie the rope and release the glove and ball. The pocket should be beginning to form nicely but the next step should be to go out and play catch. 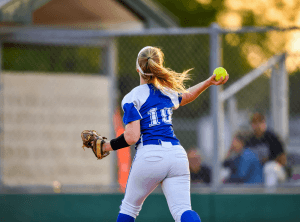 Throwing the ball with someone else should soften the glove a little more, making it easier to create a pocket that is sufficient for catching the ball. 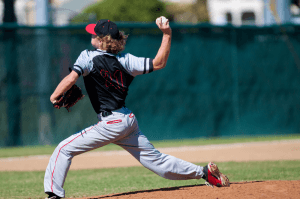 It is recommended that you play catch with someone who can throw the ball a little harder than the average player because the more the glove pops, the softer the pocket will become. Playing catch for about 15-20 minutes should do the trick for creating the pocket. After playing catch, you should take some glove oil and apply it to the pocket of the mitt as you did with the shaving cream earlier in the process. This will help soften the glove even further so that it will comfortably fit on the hand and build a strong pocket. Before applying the oil, make sure that it will not damage the glove that you have. This can be determined by looking up your glove online and determining if there are any harmful oils to that material. Once applying the actual oil, make sure that the oil is spread evenly throughout the pocket of the glove and then use a towel to make sure there is not heavy oil residue left in the glove. After applying the oil to the glove, you should repeat the third step of placing the ball into the pocket of the mitt to solidify the pocket that you have created. And, again, you should take the rope and tie the glove shut with the ball inside for another eight hours. This process should further strengthen the pocket that you are trying to form and ensure you have the best catcher’s gear possible. After letting the ball stay in the glove for another eight hours, you should release the rope and play catch one more time. This should allow for the glove to take its permanent pocket shape and allow for the player to make sure that the glove feels comfortable on your hand. You should be able to tell if the glove is comfortable and has the pocket you are looking for quickly, or more specifically after 15-20 minutes of tossing the ball around. If everything feels good, then your glove should be ready to take into game action and there is nothing else that you have to do. If after following all of these steps, you find that the glove doesn’t feel comfortable or that the pocket doesn’t seem to have taken the shape to your liking, you should repeat these steps. If you continue to follow this direction, the glove will eventually take the shape to your liking. 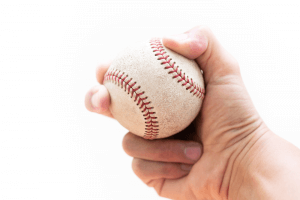 All it takes is time and patience to ensure that your mitt works exactly how you want it to. While some of these steps could be hard to visualize, there are several videos that are available on YouTube that proved a more visual direction of how to go about a process similar to this. 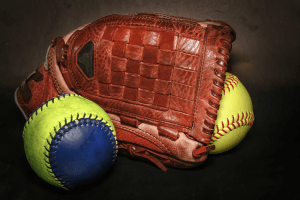 While these directions are the best blueprint in order to break in a catcher’s mitt, there are a few other tips that you may want to be cognoscente of when trying to have the best catcher’s mitt you can. These are just a few tips that could help make your glove even better. 1. If the glove doesn’t seem to be adjusting to your hand right away after applying shaving cream and glove oil, do not panic and add a larger amount of either substance. Adding the oil and shaving cream will make the glove flexible, not only over the few days after it is applied but will also be more flexible for a few weeks, even months. So, unless you are in an immediate need for the glove to adjust to your hand, don’t rush into reapplying oils or creams. 2. Make sure to keep your glove clean after you begin to play with it. If the glove continues to have excess dirt or mud on it without being cleaned, this will dry out the glove. And when the glove dries out, this will cause it to become less flexible and crack, virtually undoing everything you did to break it in in the first place. So be sure to take a towel and clean off your glove after every game that you play. 3. The final tip that can help keep your glove broken in and comfortable is to continue applying glove oil after long periods of games. The best catcher’s bag will always have this oil inside and ready to use when needed. While it isn’t good for the glove to have oil applied to it constantly, applying some in moderation can keep the glove healthy and flexible. So if you have been playing a lot of games in the dead heat of summer and you can feel your glove starting to get harder and cracking, it may be a good idea to apply one or two squirts of glove oil to keep it flexible and comfortable. 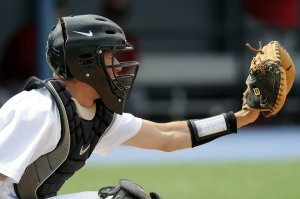 While there are multiple ways that one can go about breaking in a mitt, this process seems to be the least controversial and most effective to ensure you have the best catcher’s mitt. It is only a two-day process, making it a quick way to start using a new glove without causing damage to the glove itself. This process also allows for the use of common household products, meaning you don’t have to spend a fortune on supplies or go to a professional to break it in. Do you agree that this is the best way to go about breaking in a catcher’s mitt? Have you found another technique that works just as good, if not better? Please comment below with your technique and what you think of this process.